When most people think of laser eye surgery, they think immediately of LASIK. But before LASIK became available, PRK, or photorefractive keratectomy, was the surgery of choice for correcting common vision problems. PRK has since been largely eclipsed in popularity by LASIK because of the quick recovery time for LASIK surgery. However, PRK remains an alternative for patients with thin corneas who need laser vision correction. Learn about your candidacy by calling (541) 318-8388 today to schedule your free consultation. At Infocus Eye Care, we treat our patients as individuals and pride ourselves on providing solutions tailored to your unique needs. For patients who are not ideal candidates for LASIK, Dr. Ida Alul and Dr. Patricia Buehler can help you determine what method of vision correction is most suited to your lifestyle. We will work closely with you, listening to your concerns and addressing all of your vision needs. 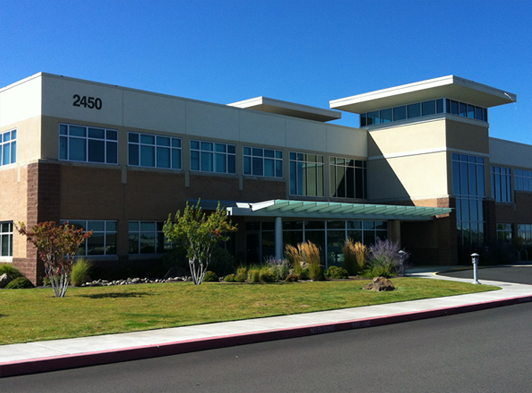 Our board-certified ophthalmic surgeons have decades of experience in serving the Bend, Oregon community. We know, through personal experience and testimonials from our patients, how important unhindered vision is for people living the active Central Oregon lifestyle. We will apply this knowledge while helping you determine if PRK is the right decision for you. PRK vision correction surgery is performed using an excimer laser. During your custom PRK surgery at Infocus Eye Care, one of our board-certified surgeons will first remove the top layer of cells then use the VISX STAR S4 IR excimer laser to reshape your cornea. Reshaping your cornea allows light to more effectively focus onto the retina, resulting in substantially clearer vision. Much like our state-of-the-art bladeless LASIK surgery, PRK is a fast and safe procedure that can correct nearsightedness, farsightedness, and astigmatism. The healing process for PRK surgery takes slightly longer than LASIK. Your vision may be blurry for the first week or two after the procedure. Your doctor will discuss the healing time based on your particular lifestyle. As with LASIK surgery, it is medically important for patients who have PRK vision correction surgery to attend scheduled post operative appointments. If you live in or around Bend, Oregon and have been told you are not an ideal candidate for LASIK surgery, please contact the friendly staff at Infocus Eye Care online or call (541) 318-8388 to schedule a complimentary initial consultation and see all of your options for vision correction.